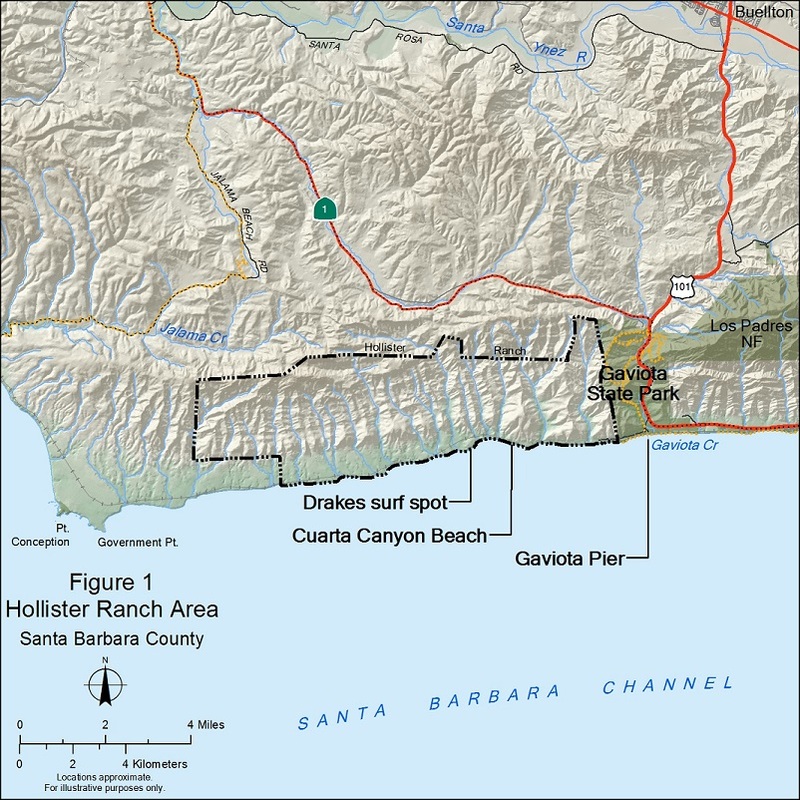 The Hollister Ranch is a 14,500-acre subdivision that includes 8.5 miles of publicly owned shoreline along the Santa Barbara Channel, in Santa Barbara County, with no land-based coastal access for the public. The Gaviota Coast, of which Hollister Ranch is a significant part, is the least accessible stretch of coast in California, with less than 2 miles of publicly accessible shore in more than 60 miles of coastline. The staffs of the California Coastal Commission, California Department of Parks and Recreation, State Lands Commission and State Coastal Conservancy have entered into an interagency Collaboration Agreement to further the State of California’s public policy of responsibly expanding and enhancing the public’s access to and along the coast and the public’s cultural, educational and recreational experiences at the Ranch. As part of this effort, the Coastal Conservancy is seeking community engagement, planning, environmental and landscape architectural professional services to assist in developing the program. The request for proposals is linked below. Please note that proposals are due on April 19. For additional information, please all see the Coastal Commission’s Hollister Ranch website.